The Xperia XZ2 and XZ2 Compact contain most of company’s mobile expertise to deliver the best possible immersive experience. The interesting thing to note is that Sony has added fast wireless charging for its new Xperia XZ2 – taking 30 minutes to charge to 50% at 9W power, most other Android devices charge only at 5W. This is also the first bezel-less device introduced by the company. With the introduction of Xperia XZ2 and XZ2 compact, Sony has stepped up the game in terms of immersive entertainment value. Both the Xperia XZ2 and the compact version are powered by the Qualcomm Snapdragon 845 processor. The camera remains the same at 19 MP but the sensors have been upgraded to Full HD (1080p). Also, the 3D scanning capabilities of the 5MP front-facing camera have been enhanced to create better 3D selfies. One of the key highlights of the device is that it runs on Sony’s XReality engine, which can instantaneously convert standard SDR videos into HDR. The company managed to pack most of the XZ2 features into a smaller form factor. 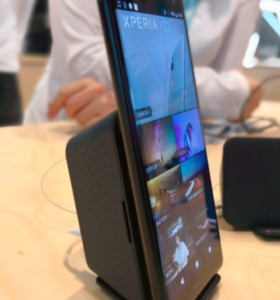 In the present scenario, where smartphone OEMs are packing AI and machine learning capabilities, Sony has taken up an approach that combines all of its entertainment technology into a smartphone. This may be the right step forward for Sony, especially with video content flourishing. This is the first chipset to support latest 3GPP standards for 5G networks. The chip has a peak rate of 2.3 Gbps with support for sub 6GHz and mmWave multi-frequency. The size of the chipset is not small enough to be used in smartphones, since Huawei had very little time to design the chip after the 3GPP release in December 2017. 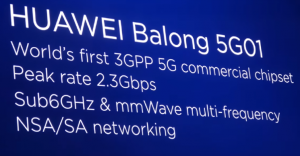 Huawei also showcased Customer-Premises Equipment (CPE) which will use these chipsets and provide 5G connectivity for homes. This CPE will use 5G wireless networks and provide WiFi connectivity at home thereby getting rid of the requirement of a fiber broadband connection. Huawei has also launched both In-Door Units (IDU) and Out-Door Units (ODU) CPE’s for low frequency and high-frequency support. Since high frequency will have low penetration, they would require an ODU at consumer premises. However, Qualcomm is quite ahead in the 5G game with it X24 and upcoming X50 modem which is designed for the 5G smartphones. Qualcomm aims to put 5G smartphones in the market by the first half of 2019 with collaboration with major OEMs and operators across the world. Along with this, the company also introduced MediaPad M5 and MediaPad M5 Pro tablets and its first bezel-less Matebook X Pro laptop. There were many announcements on Day 1 dedicated to moving from automated production and IT to advancements towards an automated society. 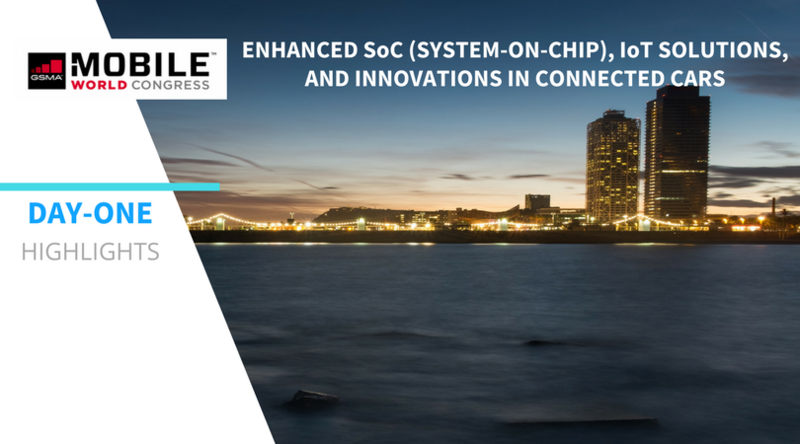 Quectel Wireless Solutions is partnering with STMicroelectronics to simplify connections of IoT devices to Cloud services over 2G/3G or LTE Cat M1/NB1 networks by integrating Quectel modules into two STM32 Discovery packs. It will help developers bring their IoT products to the market quicker and easier. Moreover, Quectel UG96 module together with the ST32 Discovery board will lower the threshold for those who intend to transform their businesses through IoT solutions. MediaTek and ZTE announced certification of the world’s first NB-IoT R14. The earlier version, NB-IoT R13 misses some essential features such as a lack of ultra-reliable low latency communication (uRLLC). However, NB-IoT R14 will include both massive Machine Type Communications (mMTC) and uRLLC, which would enable customers to get higher data rate and diversified services. France-based start-up Intellinium partnered with Sierra Wireless to demonstrate an LPWA-connected shoe targeted at industrial users. It will be powered by Sierra Wireless’ AirPrime HL series cellular module and Sierra’s device-to-cloud IoT platform along with built-in sensors that detect falls or shocks, immediately notifying the employer or a colleague of the worker’s location to enable faster, more accurate responses. A year ago, we predicted the trend of merger and partnerships among the tech giants for delivering the best IoT solution in the industry. Most of the companies who are already in the IT industry, including both hardware and software, acknowledge that IoT is one of the best investments for long-term purposes. 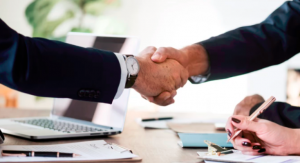 So, most of the companies opted for acquisition, merger, or partnership with IoT established companies and IoT start-ups. Real-life solutions, like LPWA-connected work shoe, add further credibility that the majority of IoT application areas are still unexplored. SEAT – a Spanish car manufacturer announced a new subsidiary company ‘XMOBA’. The new subsidiary will focus on identifying, testing, marketing and investing in projects focusing on shared mobility and connected car services. It also announced the availability of Shazam app through the DriveApp for Android Auto in all of its cars starting April 2018. Visa unveiled a Bentley equipped with the payment platform that enables Visa card holders to make payments from the vehicle’s central console. Drivers will be able to pay for everything ranging from smart parking meters to fuel pumps directly from their car’s console. Visa, to date, has partnered with Honda and Bentley on its ‘connected car’ project. IDEMIA and Omoove unveiled a smartphone-based facial recognition system to unlock cars with EasyOpen platform. The platform requires one-time registration using identity documents. This year at MWC, we can expect key announcements around virtual car key platforms. 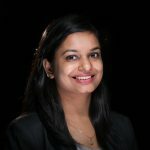 These will be used to enhance the user experience and improve connected car security with more smartphone-car integrations. The idea is to push the connected car adoption through a seamless and secured user experience. MediaTek introduced Helio P60 SoC for mid-range smartphone devices. It is comprised of a dual 4G VoLTE and multi-core AI processing unit. The chip, which is built using 12nm FinFET technology, would bring-in features like deep-learning facial detection, object and scene identification, enhanced gaming experience and improved camera performance. It is expected to deliver improvements in CPU performance as compared to its earlier SoC platforms. The new processor is aimed at strengthening the company’s position in the fast-growing, affordable premium ($200~$400) smartphone price segment. MediaTek is facing the heat as some of the Chinese and local OEMs have started to favor Qualcomm solutions over its own while expanding beyond their own markets. MediaTek will have to push in terms of pricing and make the Helio P60 appealing for local smartphone players trying to tackle the Chinese OEM expansion in new, global markets. 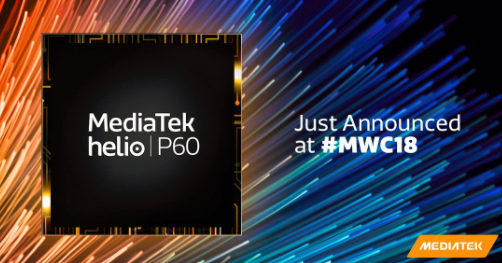 With the Helio P60, MediaTek will be competing against Qualcomm’s latest Snapdragon 6XX series SoCs. The increased product mix of Helio series chipset within its SoC shipments would help to increase the overall smartphone SoC average selling price (ASP) as well. Telefonica announced the introduction of Auro which is an AI-powered digital assistant to enhance the mode of customer interaction. Through this platform, customers would be able to interact with the network in real-time through multiple platforms including its own channels as well as third-party platforms such as Facebook messenger and the like and get information about their bills, data usage, and other content. The company has chosen six countries – Argentina, Brazil, Chile, Germany, Spain and the UK for the initial roll out. It will further be integrated with Google Assistant, as well as Microsoft’s Cortana, by 2019. 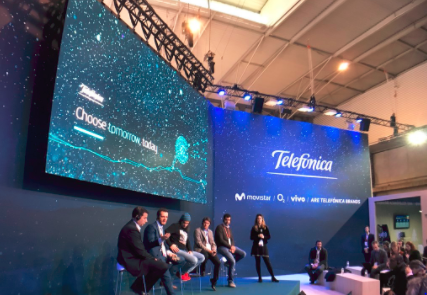 In addition, the company revealed plans to provide a new entertainment experience by integrating Auro’s AI capabilities into Movistar Home – the smart device for the home. The aim is to make voice and video calls which can be projected on the TV. Movistar Home is planned for an initial launch in Spain this year.